My favorite stat in baseball is a batter’s average with Runners in Scoring Postition (RISP). 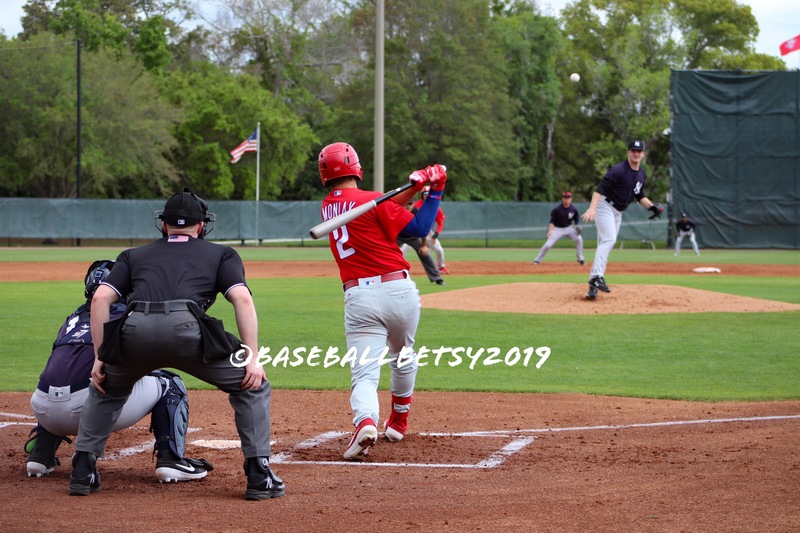 Though the AAA Phillies were outhit 11-9 in Saturday’s game, they hit with RISP to down the Yankees AAA team 7-5 on Robin Roberts Field. 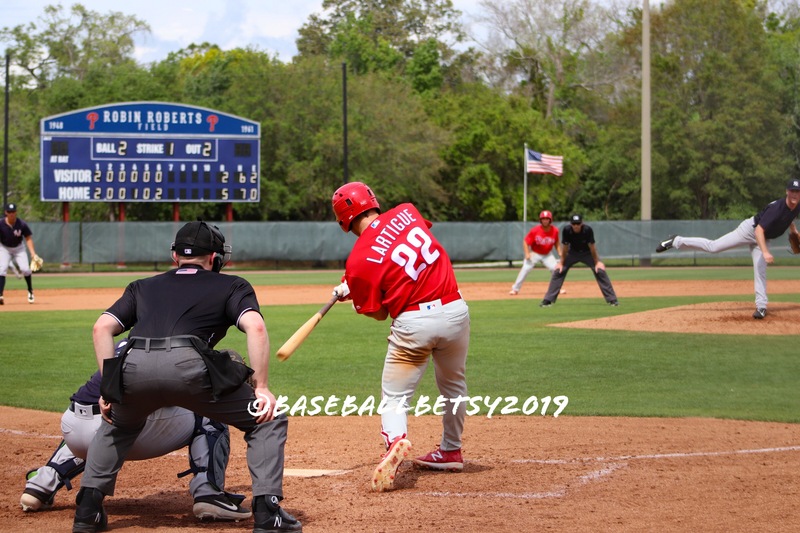 Six of the seven Phillies runs were score on base hits by outfielder Mickey Moniak, infielder Arquimedes Gamboa, Jose Gomez, outfielder Grenny Cumana and a two-run rbi hit to center by catcher Henry Lartigue. 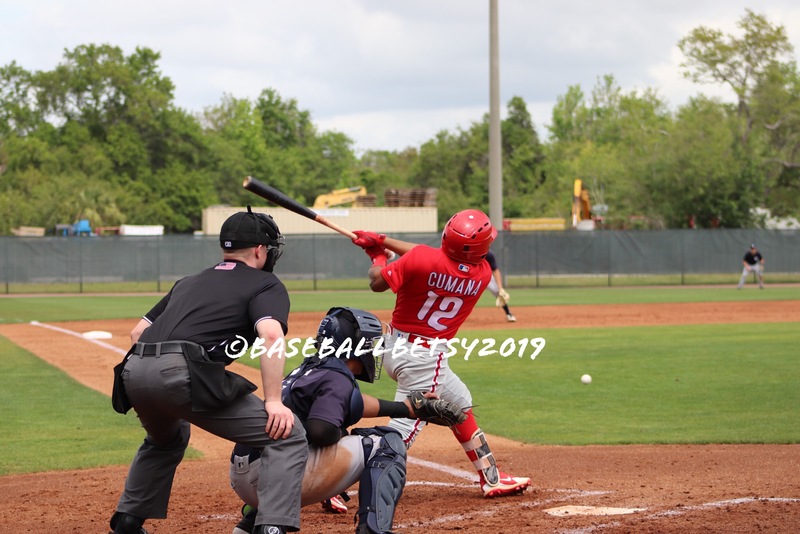 Note: In the game the Phillies shifted the traditional third base, shortstop and second base infield positions between Gomez, Canelo and Gamboa and it appeared the three outfielders, Hernandez, Moniak and Cumana, seemed to play three innings in each outfield position. The Yankees jumped out to a 2-0 lead before the Phillies would tie up the game in the bottom of the first inning to score the next seven runs over the first six innings including a four spot in the sixth inning. As it turned out, it was a two-run single with the bases loaded in that inning by Lartigue which turned out to be the game winning hit. Also, Mickey Moniak was a big offensive force in the game with his rbi, two hits, a walk and two stolen bases. He looks poised to have a big 2019 season. Watch the RBI hits of Moniak, Cumana and Lartigue, HERE. Starter Ranger Suarez gave up two runs in the first inning but settled down and struck out three the rest of his outing. He was followed by Kyle Dohy, Edgar Garcia, Jose Taveras, Jakob Hernandez and Blake Quinn. Taveras allowed a run and the last two Yankees runs in the eight inning were charged to Hernandez including a long home run. The most impressive pitcher was Dohy. The hard throwing left-hander was particularly challenging to the Yankees right handed batters. He struck out two of them on off speed pitches. Watch HERE. As expected the minor league rosters are very fluid now. Many of the Phillies who played in yesterday’s game will wind up at AA Reading and a few others at AAA Lehigh Valley. As more and more players get send down from the major league camp, the rosters will come into clearer focus before the start of the minor league season. Injuries also factor into roster makeup. Several of our favorite players we spoke with yesterday are on the injured list. Pitcher Josh Tols and outfielder Jose Pujols are expected back off the injured list at some point as the season progresses. The four Phillies full season farm teams have played only 3 0f 13 scheduled spring training games so far. The action picks up again starting Monday with a stretch of six straight days of games against their counterparts of the Pirates, Tigers, Blue Jays, Braves, the Pirates again and ending with the Yankees next Saturday. 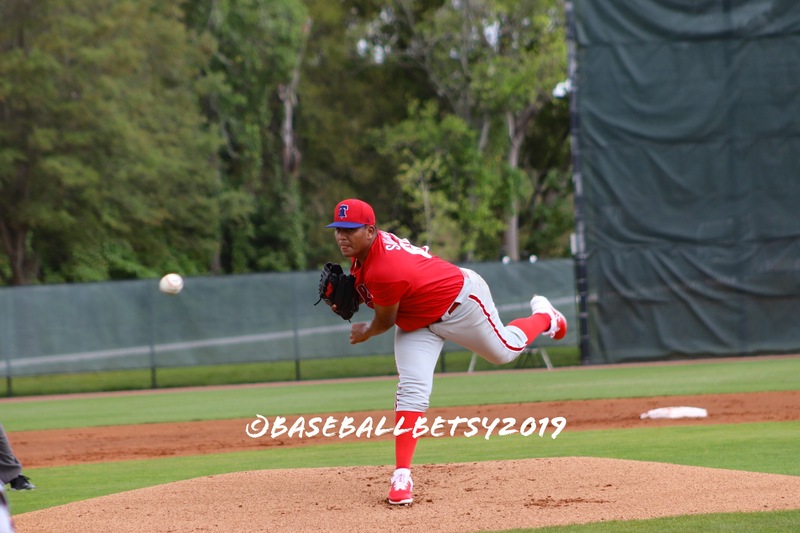 Hope to see you at the Carpenter Complex for some interesting Phillies minor league spring training baseball games ending up on March 29th. 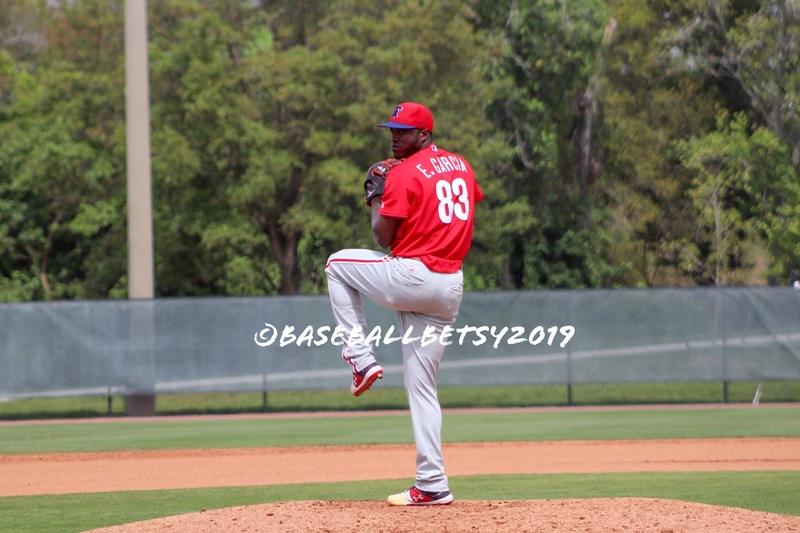 This entry was posted in 2019, March and tagged Edgar Garcia, Grenny Cumana, Henri Lartigue, Jose Pujols, Jose Taveras, Josh Tols, Kyle Dohy, Mickey Moniak, minor league, Philadelphia Phillies, Ranger Suarez, Spring Training. Bookmark the permalink.